The gripping first thriller in a chilling new series from the reigning master of Scandinavian crime fiction--Mons Kallentoft, author of the acclaimed Malin Fors novels--is an instant international sensation. 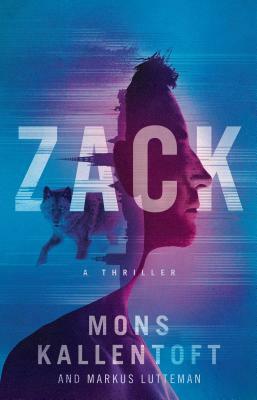 Zack Herry is the golden boy who has stumbled into a career in the Stockholm police force. At night, he hangs out at the clubs, partying with the people he should really be arresting. He knows that it won't last, but he can't help himself, even as he starts being investigated by internal affairs. But when four Thai women from a massage parlor in Stockholm are found brutally executed and a fifth badly mutilated and dumped outside a nearby hospital, Zack must get his act together and try to figure out the motives behind the vicious murders, together with his partner, Deniz. Only one thing is for sure: more women will die unless they find the killer.